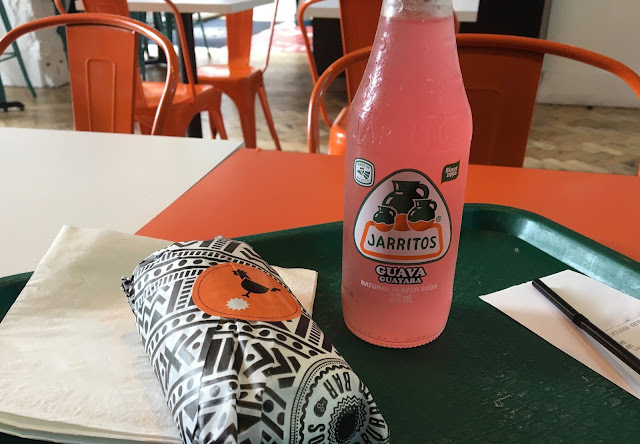 Getting my burrito on - Changos, Manchester | gingerbread smiles. 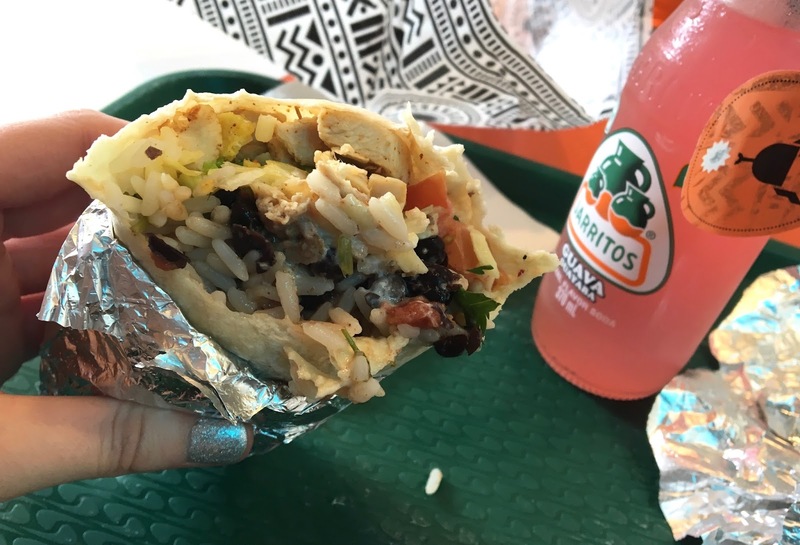 I don't know if I've expressed my love for the humble burrito on my blog before, but if not, today is the day. I bloody love them. When made correctly they are filling, tasty and full of goodness (well partly). Depending what you choose as your filling, the accompaniments of rice, beans, salsa and salad with sauces and guacamole for good measure all complement it brilliantly. Like I say, I'm obsessed. When I was down in Manchester recently for work I stumbled across a right gem in my world of Mexican food. 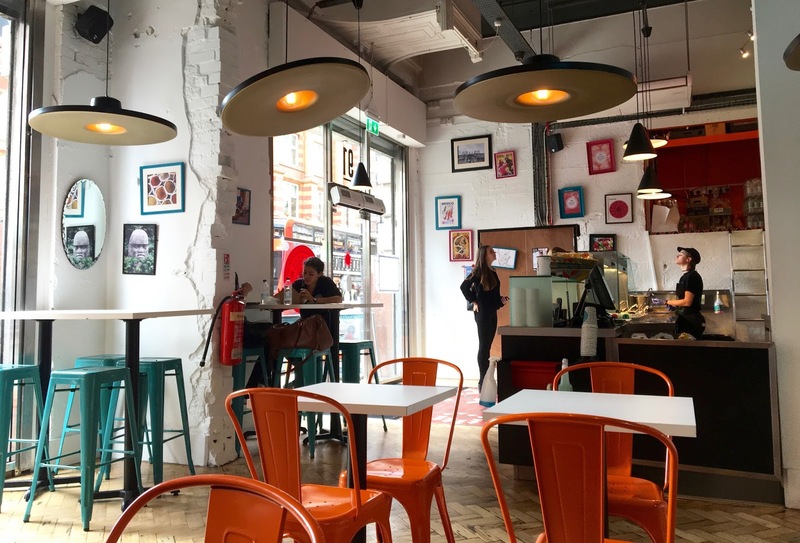 Changos isn't a chain, just the one restaurant nestled on Oxford Street in Manchester, offering home-made, flavoursome and nutritious Mexican cuisine at a great price. I must admit, it's colourfully designed interior drew me in and when I realised it was a burrito bar I was rushing through the doors. Stopping for a quick but late lunch, I decided on a medium chicken burrito filled with all the good stuff. I accompanied it with a guava Jarrito which is a popular brand of soft drink in Mexico that is naturally flavoured. Everything about the experience at Changos was brilliant. There was a lot of choice when making up my burrito, although I turned down a few items, I still came away with a good-sized burrito. My lunch was delicious, full of flavour with all the different aspects working together. The guava drink was unusual but very nice. I definitely want to try other flavours from Jarritos. When I'm in Manchester again, I'll be seeking Changos out again for another burrito, even maybe a side of nachos. Go all out with the carbs! Has anyone been to Changos? Who else shares my love of burritos? Ooo I love a good burrito! I love any Mexican food to be fair but i've not experienced anywhere near enough Burritos!